Archduke Imre, oldest son of Luxembourg's Princess Marie-Astrid and her husband Archduke Carl-Christian of Austria, and his wife Archduchess Kathleen recently attended a ball hosted by the Derby Club of Luxembourg. The club, which is chaired by Archduke István, a cousin of Archduke Carl-Christian, was launched late last year and aims to create events to discover and enhance the economic and cultural assets of the Grand Duchy of Luxembourg. 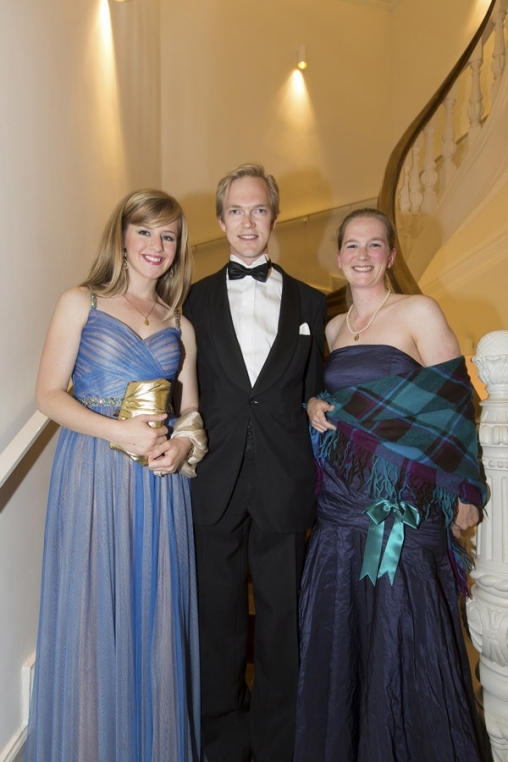 Archduke Imre and Archduchess Kathleen were pictured at the ball together with Eleonore de Potesta, a granddaughter of Princess Elisabeth of Luxembourg, Duchess of Hohenberg and thus second cousin of Archduke Imre.